It’s never too early to get your little ones interested in the magical world of gardening, so what better way to spend a Saturday afternoon than by letting them try out some green-fingered activities for themselves? 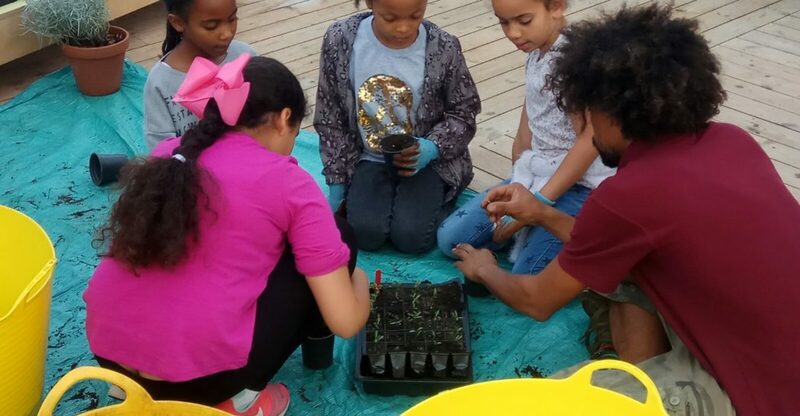 Supervised by Orsetta Hosquet of social enterprise Urban Growth, who work with members of the public to help transform urban spaces into beautiful, biodiverse community gardens, you and your family can enjoy a whole host of child-friendly gardening fun, for free. From decorating pots (fabric, paper, chalk pens and glue are provided) to planting their first seeds and making seed bombs, kids will be able to get their hands dirty and take home a plant that they can then watch blossom and grow. It all takes place in the unique environment of The Jetty – Greenwich Peninsula’s floating garden on the Thames, complete with seven polytunnels (large, outdoor growing spaces) and a cafe selling produce grown on site. Entry to the afternoon class is free, but donations are encouraged and will go towards a selection of charities as well as maintaining the plant life of the Jetty.